Tech Twinkles is a project planned by UA Events that aims to brighten people's spirits, and combat seasonal affective disorder (SAD) by lighting up trees on MIT's campus during the dark winter months. 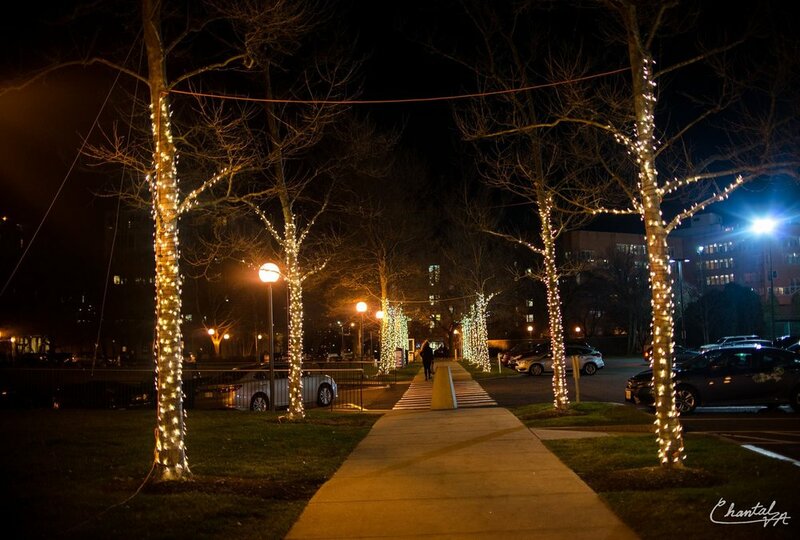 Over the past few years, Tech Twinkles has expanded its tree lighting effort beyond the trees by the Z Center by adding lights to the walkway between the Z Center and Baker House. Recently, UA Events has also given individual dorms their own set of lights to decorate their outdoor living area. Tech Twinkles is made possible through the generous support from the MIT Division of Student Life, the MindHandHeart Innovation Fund, and the Baker Foundation. Each year UA Events hosts a tree lighting celebration, complete with food, refreshments, free swag, and performances from some of MIT's most talented student groups. The 2017 Facebook event can be found here. More photos from the 2017 event can be found here.